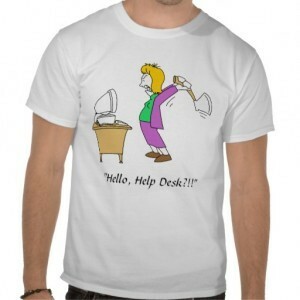 Humor – 4 Funny Help Desk T-shirts. 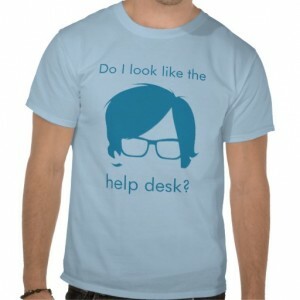 Were you looking for HELP DESK t-shirts? So here it goes 4 tips! Always take with you a bit of humor about your job. 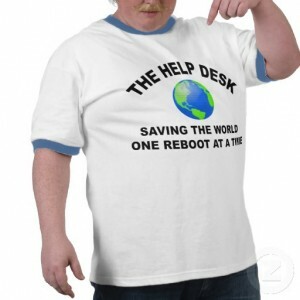 But, look closely: You work in a help desk, you can save the World! 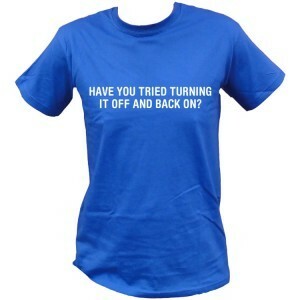 The t-shirts can be found in Zazzle and in Lush Tshirts UK.